Happy Babies Workshops are starting in venues in the North East very soon. Not enough attention is given to babies’ emotional milestones and it is time to redress the balance! 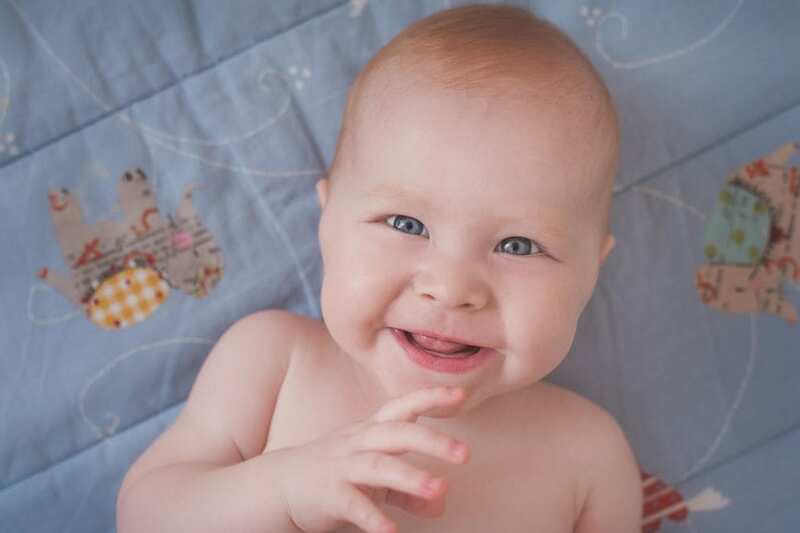 There is a lot of information and support for babies’ physical health and development but how many expectant or new parents are informed about babies’ emotional milestones? Most people know about bonding but there is so much more. Babies begin to experience sensations of taste, touch and hearing even before birth. Newborns can see but only to a distance of 20-25 centimetres. They will have got used to the sound of their parents voices; especially their mother’s and will follow it from birth. For the first few months a baby’s main task is self-regulation, feeling calm and safe in the world not overwhelmed by their new sensations. They are totally dependent on adults to help them with this. Initially a baby’s senses are all mixed up they can see sounds and feel smells. One of a baby’s first tasks is to make sense of their senses, to differentiate between noise, touch, taste, smell and vision. At first they are all a bit blurred as is the boundary between them and you. You can help them with this by being warm, soothing and responsive to their needs. Helping your baby to manage the feelings that come in through their senses lays the foundation for their future emotional development. By learning how to help your baby keep calm you have given them a tool to help them manage their feelings that can otherwise seem overwhelming. This can be as simple as a few soothing words or gestures. How you support your baby’s development will be guided to some extent by your baby’s temperament – and yours too! Babies with an excitable temperament may become overwhelmed by more and more stimulation. They may express this by crying, looking away or self -soothing. They enjoy games that are engaging but also have elements to keep them calm such as gentle songs accompanied by soothing touch. On the other hand you might have to catch the eye and entice a baby with a quiet temperament to play. Build it up slowly but make it interesting to keep them on board – repetitive songs with big finales work well.